I, by my very nature, do not deal with the unknown very well, making it apparent from an early age that I would require a companion in my expeditions into Virtual Realms. It's partly why my friends and I spent many an hour watching each other play Morrowind in a dingy bedroom/basement combo. It's why I placed so much hope into a doomed co-op mod for Mount & Blade. It's why I have such a deep affection for the Souls series. 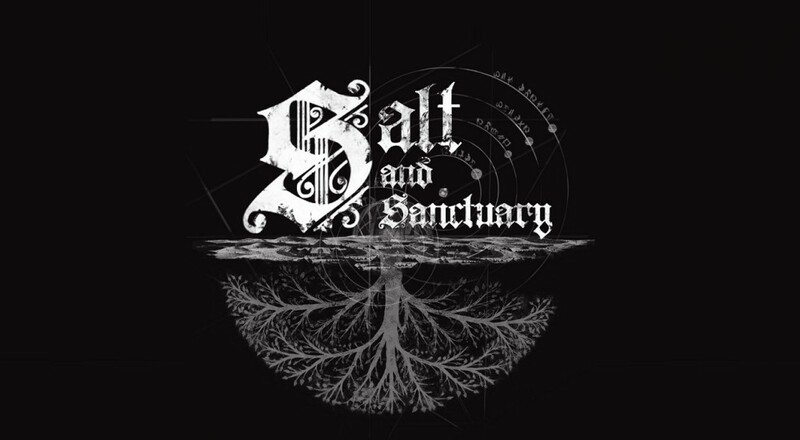 Salt & Sanctuary is almost aggressively willing to show you all of its similarities to From Software's now-ubiquitous franchise, but condensing a game with such an intense focus on exploration and mystery into a flattened environment exhibits its own obstacles. In large part, Ska Studios hurdles these problems quite skillfully and, more importantly, manages to include a surprisingly fulfilling co-op mode in the process. Exploration for its own sake can be employed to great effect, such as in Gone Home or Everybody's Gone to the Rapture, but doing so for too long puts one in a very precarious position in terms of diminishing enjoyment. The need arises, then, to attach a more tangible effect to the exploration process. In Salt's case, this effect is twofold, melding danger with desire. The game's difficulty is more or less precisely what one would expect from anything willing to put the Souls series on a pedestal. As such, a veneer of danger covers every instance one pushes into an unexplored room or makes an uncertain leap to a far-off ledge. Doing so feels like a conscious decision to actively invite quick and bloody demise, which feeds naturally into the latter end of the formula, desire. Before too much time spent in the game, one quickly gets the feeling that death could be staved off for just a moment longer if they had just a couple extra levels, or a shiny new spear or helmet. Where else would these be if not tucked into some hard-to-reach corner of a forgotten terrace or cellar? Two player local co-op certainly doesn't make the game any easier, as Salt adjusts enemy health and damage to accommodate the extra player; it does, however, provide an added layer of complexity into character growth and tactics. Whereas lone explorers are forced to account for all facets of combat, if not in stat designation then in tactics, your duo are able to specialize their abilities and approaches to combat much more keenly. Of extra importance, though, is the chance to delve into these darkened catacombs and forests with a friend at your side. From my own experience, it's difficult to praise a game solely for its inclusion of a co-op mode, as I find a great deal of value in the sheer fact that I get to play a game with friends. Where Salt should be exalted, though, is in its dedication to ensuring a fulfilling co-op experience for both parties. 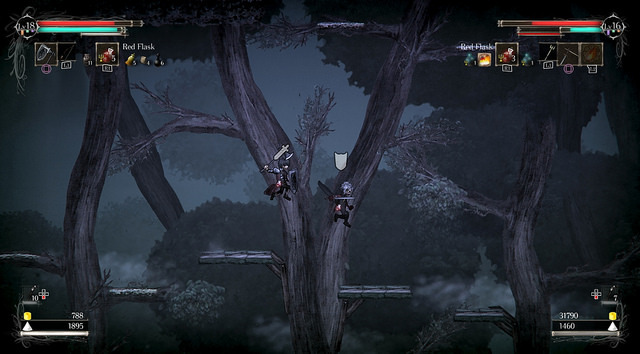 Though it may not be obvious up front, an item can be acquired in character creation to allow co-op play from nearly the beginning of the game. Furthermore, the added character isn't tacked in as an "assistant" or some such travesty. They can be chosen from the roster of existing characters, have nearly as much agency as the first player, and acquire rewards at almost the exact same clip.